May you be inspired. Enjoy. Community gardens in the city. 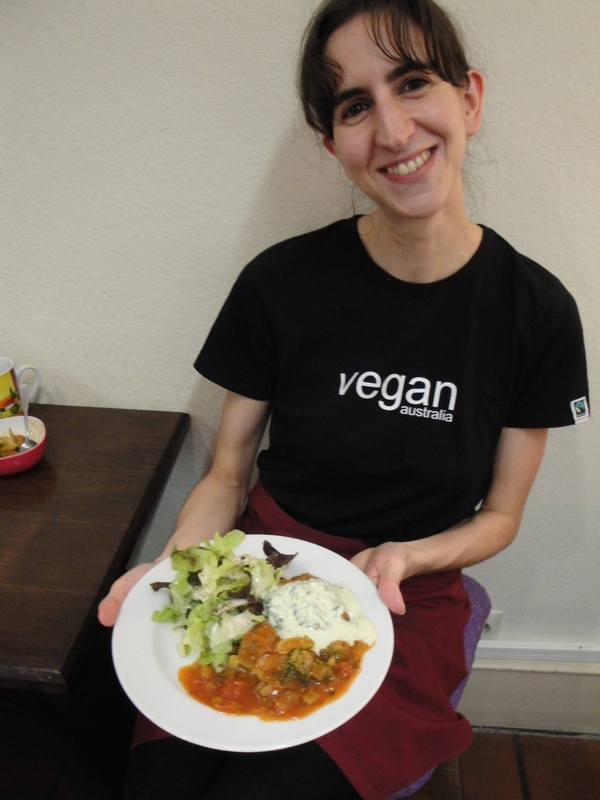 Verena at the Biokeller-Bistro eating delicious organic goodness. Yvonne another cute hard working employee at my sisters organic cafe. Mini Gugelhupf from Katja the vegan cake baker. 100% organic veg/ vegan lunch. Creamy vegan mushroom zucchini pasta. 1100 this castle was built. Too grand for my mind to comprehend. The tallest tree in all of Germany!